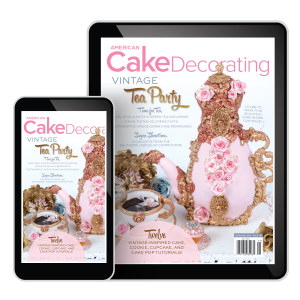 Our January/February digital issue is here and it’s “fit for a Queen”. 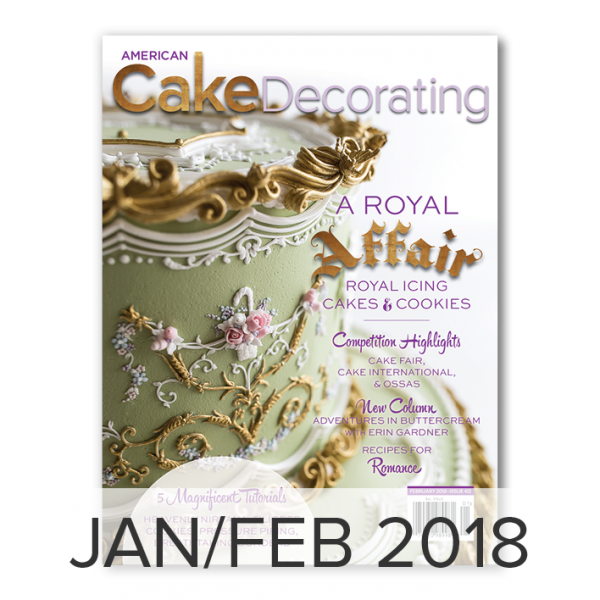 Our incredible Royal Affair issue features a stunning showcase of royal icing cakes and cookies that explore traditional piping techniques such as Lambeth, nirvana, stringwork; and even more modern applications of the medium. 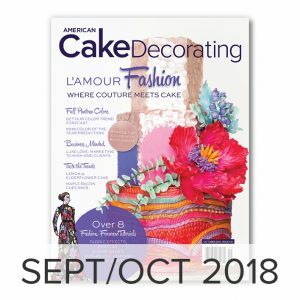 These stunning designs are sure to offer unlimited design inspiration. 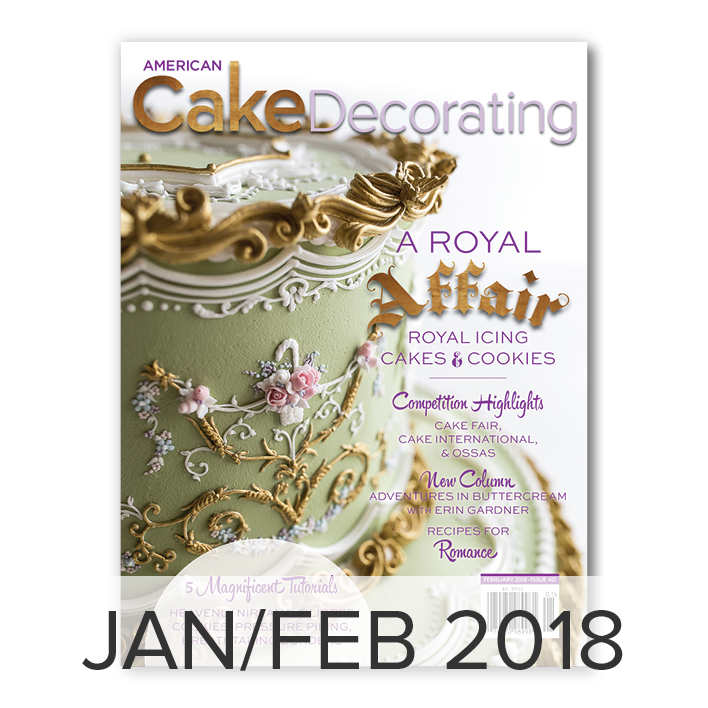 We have Eight exclusive to ACD tutorials, from our cherubic cover cake, to stunning border designs, filigree cookies, royal-icing collars and pressure-piped appliques, this issue has everything you need to start your royal-icing journey. 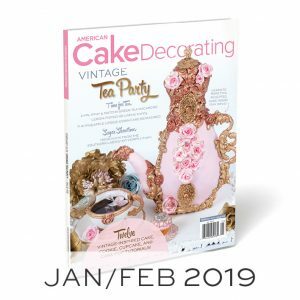 Check out our brand new columns: Adventures in Buttercream with world-renowned author, Erin Gardner, and our revitalized Business Minded column, penned by Craftsty instructor, Chrissie Boon. 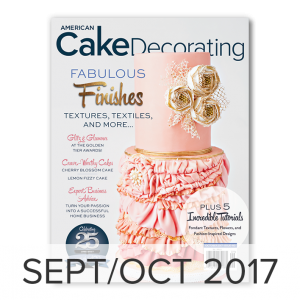 Get back to basics with our much-loved Cakeologist and learn all about the properties of flour. 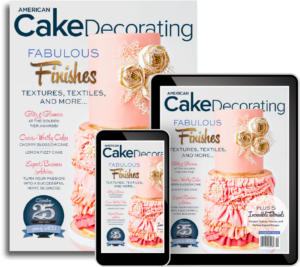 Get highlights from all the latest cake shows, plus, grab two romantic recipes!